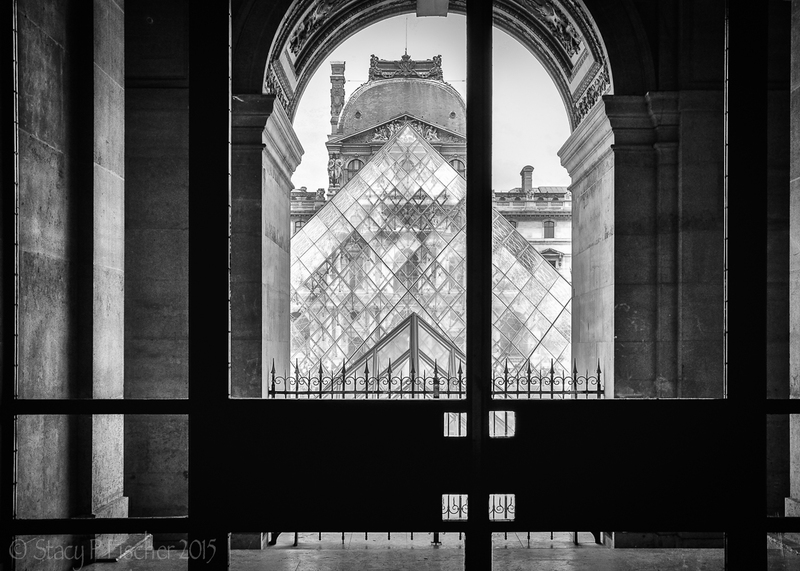 Almost a year ago, I included an image of the Louvre as part of a fledgling after-before post. 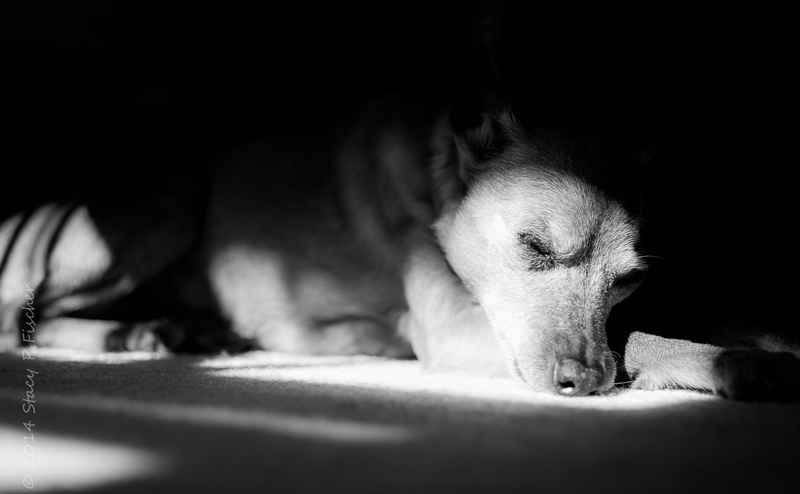 Now, having a better understanding of post-processing, I have re-edited the image and posted it today on Monochromia. Not all the treasures in the Louvre Museum in Paris are sculptures or paintings or jewels. This scene — an alcoved archway framing the famous Louvre Pyramid (and one of the three smaller pyramids in the main courtyard) against the backdrop of the palace’s Richelieu Wing — took my breath away. C’est magnifique! This entry was posted in Architecture, Black & White, France, Monochromia and tagged black and white, Louvre, Monochromia, Paris, photography. Bookmark the permalink. Thanks so very much for your kind words, and I’m honored to have you as a new follower! What a great capture, Stacy. It certainly pays to keep those eyes moving, roving for the next image. And so much roving to do there 🙂 Thanks, Lynne! Beautifully done! I really like the framing here in the doorway, the symmetry… terrific! Thanks so much, Mike! I really appreciate your comment! Ive commented in Monochromia. Stacy I love your perspective, Ive been in this tunnel before but there has always been someone in the way…. I haven’t been there when the gates have been closed which is refreshing and to get the detail in the glass having such a dark archway is really great… love it and thanks again for taking me back to the place I love….. Thanks, Kaz, and it’s my absolute pleasure 🙂 I guess the gate being closed kept those crowds at bay! Though I admit to standing there for a while trying to find the best framing. I came home with quite a few shots to go through, but I figured it was better to have way too many than too few, since who knew when I would get back there again! Thanks for saying that, Kaz. As for the Eiffel Tower, I seem to remember a gorgeous shot you took! Perhaps you submitted it for MM? Thanks Stacy my quest is over 😉 lol but I will have to find another reason to revisit Paris again and again …. I love the photo. The peek through the window. Architectural pictures always look good in black & white. it is magnificent!! Great photo!! I remember it well! Thanks so much, Cybele! Have you been? Yes, yes, yes! I so want to go back!! Oh, how I love the French language too, Sue 🙂 Merci beaucoup! Wow, that’s amazing. And beautifully captured. Thanks, Desley 🙂 I would so love to have the opportunity to go back there again just to shoot the architecture of the palace! Thanks so much for your kind comment, Sherry! Love the different depth levels, Ma! So pretty. When I first saw the Pyramid, on TV, I was not convinced of its merits as an extension of the Louvre. It seemed to clash with the surrounding buildings. However, when I saw it in real life I thought it worked wonderfully well. I really liked the juxtaposition. I think that same juxtaposition is what makes your photograph so successful too. Lovely framing too.